For the first time in decades, the ban on the type of flag Ethiopians want to carry was lifted many felt free to waive the flag they cherish. Three suspects have been cultured. 2 females and 1 male. They are in police custody. Remain calm and go home. Let the police do their job. Prime Minister Abiy Ahmed has today formed his new cabinet members. The Prime minister presented sixteen names, of which ten are new names for ministerial positions, while the six were recycled from one ministry to another. However, all members of Parliament who were given the chance to ask questions have expressed their concerns, reservations and objections to the proposed list on various grounds. Among the reservations expressed by MPs is the lack of women members of cabinet. Out of the sixteen, there are four women cabinet members, higher proportion compared to previous experiences. They are: Hirut Woldemariam (PhD), Minister of Works & Social Affairs; Yalem Tsegaye, Minister of Women and Children Affairs; Ouba Mohammed, Minister of Communications & Technology; and Fozia Amin, Minister Culture and Tourism. The other concern raised by an MP was the replacement of Dr. Girma Amente from the Ministry of State Enterprises by Teshome Toga, who was Ethiopia’s Ambassador the EU. The MP defended Dr. Girma’s track record at the Enterprise said she objected his replacement. Dr. Girma moved to lead the urban development and housing bureau of the Oromia regional state. But the most critical argument raised by three different MPs is the decision to merge Ministry of Agriculture and Natural Resources with the Ministry of Livestock and Fishery. MPs expressed their concerns that given the abundance resources of livestock and fishery in the country, the sector needs its own ministry. In addition, an MP also raised concern that the attempt was previously tried but has failed. The decision to merge the two was however approved by the house. Accordingly, Shiferaw Shigute, deputy chairman of SEPM and Secretariat of the EPRDF will be the new minister leading the Ministry of Agriculture & Livestock Resources. After responses by PM Abiy Ahmed to the questions and concerns raised by MPs, the parliament has approved the new cabinet members who were sworn in before end of the 21st regular session of the parliament. Muummichi Ministeraa, Dr Abiyyi Ahmad, kaabinee haarawa dhaabaniiru. Kaabinoota kana keessatti Ob Umar Huseen, itti-aanaa pirezidaantii Oromiyaa, Daayireektara Gaaliiwwanii fi Gumruuka Itoophiyaa ta’udhaan muudamaniiru. Waajjirri galiin biyyattii kan Woyyaaneen keessatti goobdeedha. Akkasumas, Ob Mootummaa Maqaasaa Ministera Raayyaa Ittisaa ta’aniiru. Kunis laakkofsa Oromoota Komaand Poostii keessa jiran lama godheera. Ob Biraanuu Tsaggaayees Abbaa Alangaa Itoophiyaa ta’aniiru. Wolumaa galatti angoon sadeen kunniin yeroo kanatti ijoodha. Gama birataiin Ob Abbaadulaa Gammadaa aangoo afyaa’ummaa gadi lakkisaniiru. Tarreeffama muudama fuula facebook kan Waajira Dhimmoota Komunikeeshinii Mootummaa Naannoo Oromiyaa irratti ba’e akka agrsiisutti muudamni kun gaggeessitoota sadrkaa mootummaa naannoofi federaalaatti walitti fiduun kan gurmaa’edha. Akka ibsa Obbo Addisuu Araggaa Qixxeessaa, Hogganaan Biiroo Dhimmoota Komunikeshinii Mootummaa Naannoo Oromiyaa fuula facebook isaaniirratti maxxansanitti muudamni taasifame kun fayyadamummaa ummata naannichaa boqonnaa haaraatti ceesisuuf qabsoo eegalame itti fufsiisuuf jedhameera. Akka Obbo addisuun barreessanitti haala yeroo ammaa naannoo Oromiyaa keessaa jiru yaada keessa galchuun ramaddii hoggansaa gaggeeffame kun dhimmoota gurguddoo sadi yaada keessa galchee kan raawwaatamedha jedhu . Isaanis dandeettii raawwachiisummaa mootummaa cimsuudhaan rakkoo bulchiinsa gaariifi kenniinsa tajaajilaa hiikuu, sadarkaa federaalaatti gahee hoggansaa qabnu gahumsa ol’aanaadhaan bahachuuf hoggansa Mootummaa Federalaatiif gumaachuufi hirmaannaa dubartootni, dargaggootniifi hayyootni hoggansa keessati qaban cimsuudha. Aadde Adaanach Abeebee, Kantiibaa Magaalaa Adaamaa gara I/G/ Waajjira Dh.D.U.O G/Galeessaatti fiduufi Aadde Caaltuu Saanii kan Kantiibaa Magaalaa Laga Xaafoo Laga Daadhii turte gara Hoggantuu Abbaa Taayitaa Galiiwwanii Oromiyaa fiduun hirmaannaa dubartootaa cimsuuf kan jedhameef fakkeenyadha. Kanaaf, Aadde Xayibaa Hasan kan Kantiibaa Magaalaa Shaashamannee turte gara sadarkaa Pirezidaantii I/Aantuu MNO fiduu dabalatee tarreeffama muudama haarawaa kana keessatti hirmaaannaan durbartootaafi dargaggootaa gara hooggansa jajjabootti fiduun mullateera. Torban darbes Caffeen Oromiyaa Yaa’ii Idileesaatiin raawwii hojii erga gamagamee booda kan Mana Murtii Ol Anaa Oromiyaafi OBN dabalatee muudama gara garaa kennuun isaa ni yaadatama. The United States Congress on Tuesday passed a human rights-centered resolution against the Ethiopian government amongst others calling for the respect of human rights and inclusive governance. Despite a late pushback led by one Senator Inhofe – a known ally of the government, to get Congress to reject the resolution, the motion according to Congress records did not even need to be voted upon as it adopted by voice vote. Congressmen and women took turns to give brief comments about the importance of the resolution with each touching on the political crisis that has rocked the country. Others also pointed to the cost in terms of human lives and loss of properties as a result of government highhandedness and an ever-shrinking democratic space. “H. Res. 128 recognizes Ethiopia’s efforts to promote regional peace and security, and its partnership with the U.S. to combat terrorism, promote economic growth, and address health challenges. In addition, the resolution expresses concern about human rights abuses and contracting democratic space, and condemns excessive use of force by Ethiopian security forces. “The resolution calls on the Government of Ethiopia to lift the state of emergency, end the use of excessive force, release wrongfully imprisoned protesters, and improve transparency, while at the same time urging protesters and opposition groups to use peaceful discussion and avoid incitement. Ethiopian prime minister Hailemariam Desalegn quit last week after years of public protest against the regime and open discord within the coalition It is tempting to call it an “African spring”. In a matter of months, in countries as disparate as Angola and Zimbabwe, Ethiopia and South Africa, entrenched leaders have been falling like ninepins. Last week, it was the turn of the Ethiopian prime minister, Hailemariam Desalegn, who quit after years of public protest against the regime and increasingly open discord within the coalition that has run the country since 1991. His sudden departure came just a day after, half a continent away, Jacob Zuma finally agreed to resign as president of South Africa to make way for Cyril Ramaphosa. Those dramatic events followed the even more unexpected fall of Zimbabwe’s Robert Mugabe, who many thought would die of old age before he was pushed from office. Instead, he took the hint that it was time to go when tanks rolled on to the streets of Harare last November. And just two months before that, in an orchestrated but still highly significant change of leadership in Angola, João Lourenço took over as president from José Eduardo dos Santos, whose 38 years in charge beat Mr Mugabe’s stint by a year. What on earth is going on? Should African leaders be shaking in their boots as renewal sweeps across the continent? Africa, as people repeatedly point out, is not a country. It is a complex continent of diverse nations whose histories, languages and political cultures make them hard to meaningfully compare. There is no reason to believe that events in one have any connection to happenings in another. Yet that doesn’t mean there are no common themes. After all, countries in entirely different continents — take the Philippines, Hungary and the US — may be prone to the same forces of populism or nationalism. One thing Angola, Ethiopia, South Africa and Zimbabwe have in common is they are run by liberation parties that have ossified in power for between a quarter and a half a century. In Angola, the Popular Movement for the Liberation of Angola has run the country since the Portuguese left in 1975. In Zimbabwe, Zanu-PF, which led the armed struggle against white minority rule, has been in power since 1980. Similarly, Mr Desalegn’s Ethiopian People’s Revolutionary Democratic Front has ruled since 1991, although he has been prime minister only since the death of Meles Zenawi in 2012. And in South Africa, yet another liberation movement, the African National Congress, has dominated power since apartheid crumbled in 1994. In each case, these liberation parties are seeking to renew themselves after a generation or more in charge. The transition from exile to government has not always been easy. Power means money. In the case of Angola, huge oil exports and massive Chinese investments have meant a bonanza for the top party cadres, especially for anyone bearing the name dos Santos. In Zimbabwe, socialist rhetoric yielded to the reality of a destroyed economy for the many and rich pickings for a few party hacks loyal to Mr Mugabe. In South Africa, too, particularly in the Zuma years, the righteous task of spreading wealth to the black majority morphed into the less righteous one of spreading it to an ANC-connected black elite. Change now is partly driven by the pent-up frustration of the millions left out. The public has found its voice, pushing the ruling elite to shuffle leaders in the cause of survival. In South Africa, by far the most democratic of the four, ANC support has skidded in successive elections and the party has lost control of four of the country’s most important cities. But even in the other three countries, where elections are far more controlled, opposition forces have found a way to express themselves, both through the ballot box and on the streets. Will new leaders bring genuine change? In Ethiopia, Mr Desalegn’s resignation was followed by the imposition of a state of emergency, hardly a sign of democratic opening. In Angola and Zimbabwe, the ruling parties have probably done enough to present the semblance of a new direction, though whether that translates into more inclusive policies is not yet clear. In South Africa, Mr Ramaphosa is seeking more than cosmetic changes in the interests of restoring both the ANC’s moral and electoral standing. Still, in each country the ruling elite has engineered a personnel change in the interest of self-preservation. More than revolutions from below, they are party reorganisations from above. Other leaders on the continent will be watching, some fearfully. But “African spring” does not capture what is going on. You could call it instead the season of the palace coup. In this video Hailemariam Desalegn admitted that he is making decisions without all the facts. ‘As a good friend and strategic partner of Ethiopia I was concerned when learning of the re-imposition of a State of Emergency in Ethiopia, so soon after the last State of Emergency was lifted,’ said Minister of Foreign Affairs Ine Eriksen Søreide. ‘The sustainable political and economic development as well as stability of Ethiopia is important to Norway. It is essential that the recent State of Emergency will not reduce the Ethiopian government’s commitment to ongoing reform processes, including multiparty dialogue, release of prisoners and the dialogue with civil society. These processes, which aim for a more inclusive political environment, are important for the development of democracy. In this respect, I would urge the government of Ethiopia to implement the State of Emergency in a proportional manner and in respect of human rights and fundamental freedoms,’ said Eriksen Søreide. Capsizing: The system of government introduced in 1991, and monopolised by Meles Zenawi from the early 2000s, is irremediably dead. It had been in its death-throes since Meles’s sudden demise in 2012. The snap resignation of Prime Minister Hailemariam Dessalegn on February 15 marked the serving of the official death certificate. Recently resigned Ethiopian Prime Minister Hailemariam Dessalegn speaking in China, May 15, 2017. Lan Hongguang/Xinhua News Agency/Press Association. All rights reserved. The crisis in Ethiopia has suddenly gained momentum and reached a tipping point. Things could go either way. The country could dig itself even deeper, with consequences that don’t bear thinking about. Or there could be a broad realisation that Ethiopia is “at the precipice”, bringing a surge of realism and pragmatism that would finally start a process of political rebuilding on solid, inclusive and lasting foundations. This will require compromise, an attitude that is, to say the least, somewhat unfamiliar in traditional Ethiopian culture. All the actors will have to find a balance between what they would like to get and what they can get, between the short-term and the long-term. But time is short, numbered in weeks, maybe days. The system of government introduced in 1991, and monopolised by Meles Zenawi from the early 2000s, is irremediably dead. It had been in its death-throes since Meles’s sudden demise in 2012. The snap resignation of Prime Minister Hailemariam Dessalegn on February 15 marked the serving of the official death certificate. He had privately indicated his intention to resign, but not until after the planned spring congress of the governing coalition of the four major ethnic parties: the Amhara National Democratic Movement (ANDM), the Oromo Peoples’ Democratic Organisation (OPDO), the Tigrayan People’s Liberation Front (TPLF) and the Southern Ethiopian People’s Democratic Movement (SEPDM). The reason he gave for his resignation, as “vital in the bid to carry out reforms that would lead to sustainable peace and democracy”, is particularly open to question in that he was a well-known reformist. Did he quit because he was pushed or because he had become aware of his powerlessness? In the midst of the worst storm that the country has experienced for decades, he was the official captain of a crew that had become so disparate, divided and disloyal that his vessel was pitching and yawing wildly. Hailemariam probably did not want to be held responsible in the event that it should capsize. He may also have hoped that his departure would back the ruling coalition into a corner and leave it with no other alternative than to set a course out of the storm and form a new crew capable of following it. In parallel with this decline in central power, the respective strength of the coalition’s regional parties, starting with the OPDO, has continued to rise to the detriment of the TPLF, which had dominated the coalition for more than two decades despite the fact that Tigrayans account for only 6% of the nation’s population. And alongside this centrifugal movement, opposition forces – both legal and illegal, national and anchored in the diaspora – were growing in power, after long years of repression had kept them in the wilderness. As the body politic fragments and levels out, the protests show no sign of abating, mainly in Oromya, even though not a week goes by without its death toll of victims of the security forces. 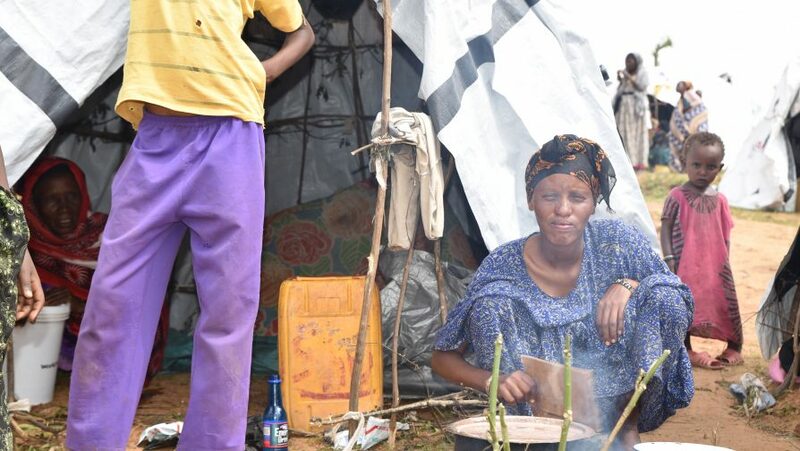 Oromo complaints of marginalisation have gradually shifted towards claims of what they believe they deserve as the country’s most populous and richest region: to be at the top. The home strike on February 12 and 13 paralysed Oromya as far as the gates of Addis Ababa, demonstrating that a blockade of the capital would not be inconceivable. Unprecedented crowds in multiple cities celebrated the return of the most prominent political prisoners: around 6,000 have been freed since a gradual amnesty announced at the beginning of January. Buoyed up by its successes, the street – at least in Oromya – could misinterpret the disarray of the EPRDF to the point that it could believe itself to have achieved an hegemonic position that none can deny it. However, this popular movement, mostly spontaneous and therefore loosely organised, has its shadow side, at least on the margins. While the primary responsibility for the forced displacement of almost a million people – mostly Oromo, a minority Somali – essentially since September 2017, described as “interethnic clashes”, is attributable to the Somali authorities, at grassroots level it has stirred up ethnic tensions that were previously latent, or at most sporadic and sparse. The frequent claim that multi-ethnic communities have lived in peace for centuries is both true and false. “Ethnic clashes” have always taken place around basic issues: land, pasturage, water. They have flared up with all the major upheavals and subsequent power vacuums of recent decades, such as the agrarian reforms of 1975 and the introduction of the federal system in 1992-1993. The national parties, mainly OPDO and ANDM, have backed the quest for “national identities” and claims of “national rights” in order to assert themselves vis-à-vis the TPLF and ride the wave of protests. Some of their leaders have even given their imprimatur, at least through inaction, to outbursts of nationalistic hysteria that itself also masks well-known interests, ultimately leading to “ethnic cleansing” accompanied by dispossession and pillaging. Recently, thousands of Tigrayans, identified with their governing elite, whose powers and resources are disproportionate, were driven out of the Amhara region. 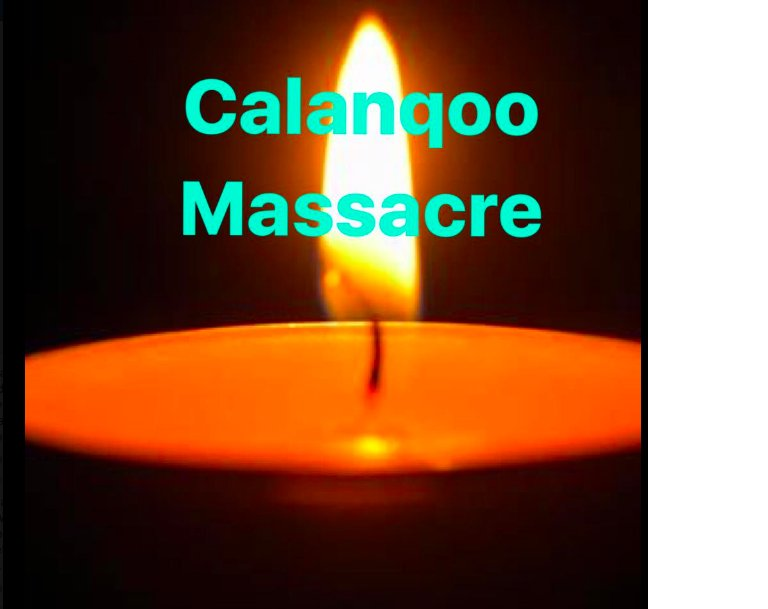 Members of the Kemant, a subgroup of the Agwa ethnicity, were massacred there. Students have had to flee their universities to escape a sometimes murderous wave of “ethnic purification”. “Ethnic clashes” are proliferating. In some cases the regional or local security forces do nothing to stop them. A symptom of this odious climate: on websites accessible in Ethiopia , especially in the comments sections, overtly racist interethnic attacks, which would be an offense anywhere else, are flourishing as never before. Finally, in parallel with this threefold process – disintegration in the system of power, continuing protests with sometimes violent outbursts, and rising ethnic hysteria – a fundamental divide is forming, even if it does not reach the light of day. The ultra-dominant official rhetoric is reformist, founded on a key expression: “deep renewal”. However, websites (like Aigaforum.com or Tigraionline.com) that say out loud what is only whispered in certain circles of the TPLF, insist that the only effect of the government’s acts of appeasement is to make the protesters even more demanding and exacerbate the disorders. In this view, the only way to put an end to both is to employ every possible means in a trial of strength. In addition, questions remain about some interventions by federal forces – army, police, the elite Agazi unit – carried out without the prior agreement of the regional authorities, a legal requirement, and frequently accompanied by the use of disproportionate violence. These forces are disciplined and battle hardened, so individual excesses or blunders are highly unlikely. These cases of autonomous and brutal conduct, running counter to official policy, are undoubtedly commanded, or at least tolerated, by the heads of these units, although they cannot be unaware that they are an essential contributor to escalations in radicalisation and violence. Drawing back from the “precipice” requires an urgent Copernican revolution. It can be built on four cornerstones. – Apart from a few very marginal elements, no one fundamentally questions the Constitution. It can therefore provide the frame of reference for any change. – None of the members of the ruling coalition envisages putting an end to it, however formal and forced its perpetuation may be. They all know that the coalition’s official collapse could devour them all. At least in the short term, it is hard to find any sign of any alternative coalition that could form, let alone govern. If the EPRDF broke up, the probability that Ethiopia would become a “failed state” is very high. However weakened it is, there would still be one hand on the helm. – At no point, so far, has the spearhead of protest in Oromya, the Queerroo (youth), called for armed struggle. This is a major change: in the history of Ethiopia, power has always come through the barrel of a gun. However, there is a growing radical fringe which believes that taking up arms will be sufficient to put an end to the regime. – Finally, even the opposition, which was calling for the immediate formation of a transitional government of national unity, has more or less abandoned this demand. It was unrealistic. The EPRDF has just rejected it. If it had agreed, its divisions and the scattered nature of the opposition would have bogged down the formation of such a government in interminable bargaining and one-upmanship and, once in place, would have condemned it to impotence. However, the longer the power vacuum continues, the closer the “precipice” approaches. Regardless of its divisions, the EPRDF must at all costs make the internal compromises needed to appoint a credible prime minister and government, and then actually support them so that they can take back the helm. Of course, the appointment of Lemma Megersa, although he cannot legally occupy this position, would satisfy Oromo protesters. However, it would require such major concessions in the light of what we know about the balances of power, that another Oromo or Amhara figure, or even a southerner, would seem more feasible, a remake of the compromise reached for Meles Zenawi’s successor. The proclamation of the state of emergency on February 16 caused an outcry, prompting the US Embassy to issue a statement of a severity unprecedented in contemporary US-Ethiopia relations, almost an ukase (“We strongly disagree with the Ethiopian government’s decision to impose a state of emergency… (This) undermines recent positive steps… We strongly urge the government to rethink this approach”). According to the Minister of Defence, it was decided unanimously by the Council of Ministers, and therefore by its OPDO and ANDM members, who reportedly came on board after first having vigorously rejected it. If this is true, what compromises were required? At present we don’t know the terms, any more than we know what is debated behind the scenes on all the different issues, making the state of emergency just one aspect of a global negotiation. There is still much to play for. Does it signify that political openings have been rejected and the priority placed on repression, in other words a major victory for the “hardliners”? This will also depend on its scope, those enforcing it and their behaviour. The only indication comes from the official agency press release, which states that the purpose is “to protect freedom of movement and the rights of citizens to live wherever they choose as well as build assets”, in other words first and foremost to put an end to the “ethnic based attacks” mentioned a few lines below. It is noteworthy that it makes no mention of restrictions on political activities. If, and only if, future information on the state of emergency confirms this analysis, and if, and only if, the federal forces show a minimum of restraint in their behaviour, the government will have taken the decision incumbent on any government facing the risks of an explosion of violent excesses, including ethnic unrest on this scale. That may perhaps be why OPDO and ANDM, which had condemned the ethnic attacks, was ultimately able to accept the state of emergency. Under these circumstances, it can also be assumed that Parliament might approve it. However, intervention by the security forces alone will not suffice to prevent this threat if nothing changes elsewhere. They were overwhelmed during the previous state of emergency. 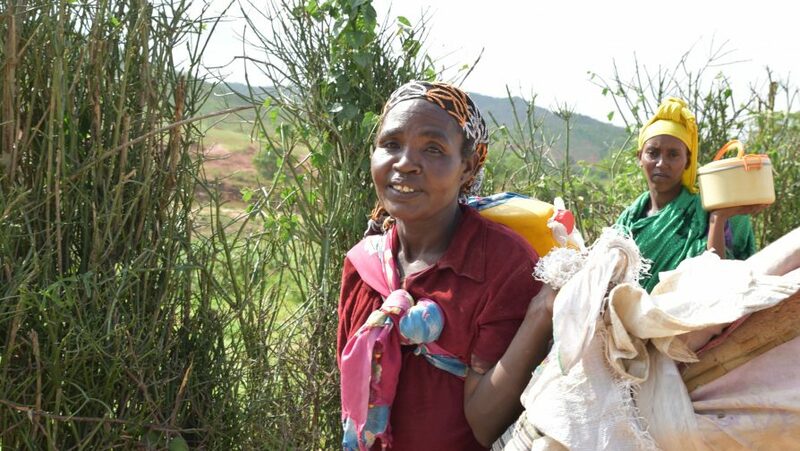 Ethiopia has around 15,000 rural communities (kebele), each with a few dozen militiamen. In other words, probably 400,000 armed men who owe their loyalty to the leader of the kebele. There is no proof that these leaders would be willing or able to hold back ethnic attacks perpetrated by a majority of inhabitants. At this level of crisis – breakdown in the system of government, dispersal and weakness of the legal opposition, protest that is increasingly heated, disparate in its organisation and simultaneously extreme and nebulous in its goals, proliferation of ethnic clashes – it is unrealistic to think that time and resources are sufficient for a big negotiation, a sort of “national conference”, even one that brought together the main stakeholders in and outside the country, to be able to start everything afresh and rebuild a global alternative system step-by-step. What is urgent is to bring down the tension by focusing the hopes and energies of the activists on a political way out, in the form of a tested, unchallengeable mechanism that will be as speedy, practical and unifying as possible. The mechanism that would meet these criteria is early general elections, held well ahead of the current schedule of spring 2020. First, they would clarify the political landscape. Each force would be required to present voters with its flagship measures for rebuilding the system of political, economic, military or security power. The goal would not simply be a change of regime. It would include the distribution of powers and resources within the federation, hence the famous “nationalities question” that lies at the heart of the current crisis and for almost two centuries has undermined the capacity of Ethiopians to live together. Following the elections, this landscape could be structured and hierarchized on clear and transparent foundations, and the inevitable alliances would be formed first around their respective weights and projects. Since these foundational elections would be legislative, Parliament would finally acquire the primary role assigned to it in the Constitution. The verdict of the electorate, founded on universal suffrage, would make the outcome unchallengeable. Finally, elections would channel protest that is both vigorous and inchoate into a concrete, tangible and decisive goal. The Queerro who favour a shift to armed struggle remain a very small minority, but they have the wind in their sails. All the voices that count in Oromya and in the diaspora continue to call for calm, for patience, arguing that change is now inevitable but needs to be given time. If they are listened to and if, moreover, the undertaking to hold these general elections could reduce the tension, defuse the reasons for protesting and therefore the risks of outbreaks, there would be a greater chance that the most extreme elements would become isolated and ethnic clashes less probable. However, this scenario can only work on one condition: that these elections are “free and fair”. For this to happen, a supreme authority needs to be established, emanating from all the main stakeholders, whether government, opposition or civil society, in Ethiopia or abroad. The former head of the military, General Tsadkan, even proposed that, in order to guarantee its independence from the current government, no member of the EPRDF should be able to be part of it, though it would be difficult for the coalition to agree to submit to the authority of a body that would resemble a weapon directed against it. This authority would be vested with the powers needed to guarantee the ability of all the competitors to organise and express themselves freely, including the power to put on ice laws that contravene it and that it would be formally impossible to repeal rapidly. Finally, it would set a realistic date for elections. The oppositions must have a certain amount of time to build their electoral machines, but the date should be as soon as possible. In the meantime, the government would continue to deal with day-to-day matters. 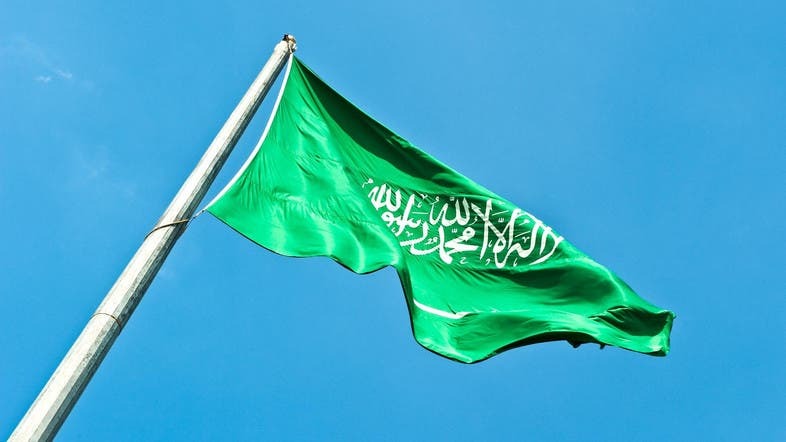 It may be objected that the formation of this supreme authority and its mandate would encounter the same kinds of difficulties as a transitional government. However, there is one big difference in scale and scope: whereas the purpose of the latter would be nothing less than to govern, the former would be restricted to a single goal: to organise and manage elections. Still unrealistic? Possibly, but probably the least unrealistic scenario to enable the country to step back. Ethiopia’s Great Rift: Will a power struggle within the ruling party lead to reform — or more repression? In honor of Bekele Gerba’s release, the Oromo strikes were suspended, and the crowds in the street turned jubilant. Then, on February 14, authorities stunned and delighted the protestors further by releasing other extremely prominent dissidents (including among others the blogger Eskindir Nega, opposition leader Andualem Aragie, former Gambella Governor Okello Akway, and the Muslim religious freedom activist Ahmedin Jebel), some of whom had been imprisoned on “terrorism” charges for years. After the events of February 13 and 14, however, there can be little doubt about the seriousness of the Ethiopian authorities. The severity and persistence of the protest movements have clearly become an existential threat to the regime, and the need to diffuse the protests’ momentum is imperative enough, apparently, to overcome differences of opinion between the so-called “moderate” and “hardliner” factions with the Tigrean People’s Liberation Front (TPLF), which is the most powerful faction with the ruling party. The TPLF’s alarm is well-founded; the only question is whether its belated concessions to the protestors, after years of growing unrest, may be too little, too late. Anger at the perceived economic and political dominance of the small Tigrean ethnic faction is a moving force behind the protests, and the threat of a genocide or other targeted ethnic violence against Tigrean individuals appears to be escalating. 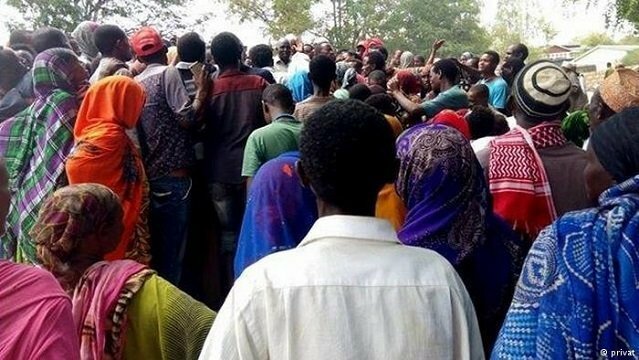 Fearful Tigrean citizens have reportedly relocated in large numbers from the Amhara and Oromo regions of the country, and attacks on Tigreans (a rarity in the past) are reported. At the same time, violent clashes between other ethnic groups, particularly the Oromo and Somalis, have dramatically increased. Tensions are high across the board; the protestors are flush with victory; and the newly-released scores of political dissidents may vie for prominence. Is there any chance of the protests subsiding? Probably not, though it is surely the TPLF’s hope that Bekele Gerba, Ahmedin Jebel, Eskindir Nega and their colleagues will prove to be wise and moderating voices in the coming dialogue. 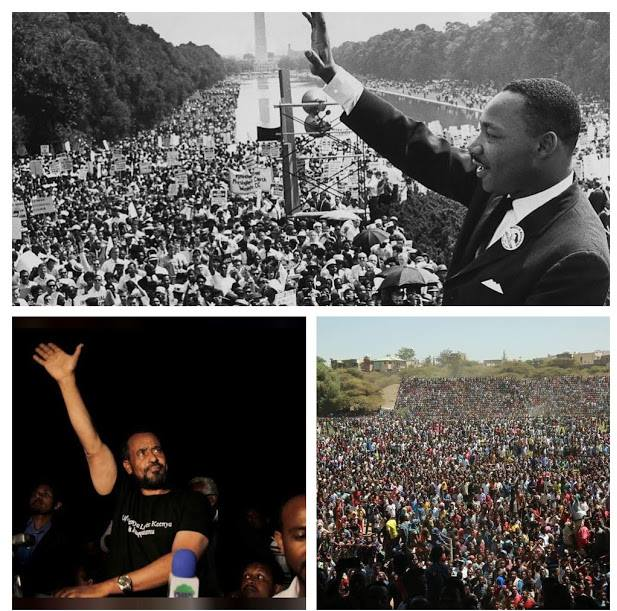 They have in the past not only been decisively less radical, but have been firmly committed to non-violence – unlike the radio and social media personalities, some of the based in the diaspora, that have risen to prominence in their absence and are now driving the opposition discourse in real time. Having achieved so much through protest, it is unlikely that the Ethiopian people will accept half-hearted reforms. Speculation is rampant, for example, that Prime Minister Hailemariam Desalagn – who is not Tigrean but is widely regarded as an instrument of the TPLF elite – will be replaced with an Oromo at the ruling party’s upcoming conference in three weeks’ time. (Lema Megersa, president of the Oromia Regional State, is a prime focus of this speculation.) These rumors are mere speculation, but have taken on the force of expectation, and disappointment could easily lead to another round of protests. Another round of civilian deaths at the hands of Ethiopian security forces, or the declaration of another state of emergency, could have the same effect. Next time, the Ethiopian government’s concessions may not be enough to halt the protests. If dialogue fails, and the security forces are unleashed, the resulting conflict will be bloody and awful – and will certainly not succeed in ending the uprising. The United States has much at stake in Ethiopia, whose troops and cooperation have been essential to Washington’s efforts to stabilize Somalia and South Sudan. American strategy in the Horn of Africa is deeply flawed and is demonstrably failing to achieve its objectives (as the situation in both countries continues to deteriorate). But no alternative policy proposals are on table, and a sudden collapse of Ethiopian capacity to support American policies with African boots on the ground would be catastrophic. The African Union mission in Somalia, already on its last legs, would probably not survive a sudden and wholesale withdrawal of Ethiopian forces – and countless civilian lives in Southern Sudan would be endangered. A disordered Ethiopia is of course more vulnerable to incursions by the al Qaeda-linked Somali terror group, al Shabaab, which has already managed to establish a vibrant offshoot in Kenya amid similar social conditions (a large population of unemployed youths, a disenfranchised and villified Muslim population, and rampant police brutality). Unfortunately, few countries are more poorly positioned than the United States to play a constructive role in Ethiopia’s future. This stems from Washington’s long history of providing budgetary support to the Ethiopia’s ruling party, the close cooperation between the two countries’ military and intelligence services, and the long-standing refusal of American officials to criticize the human rights record of the regime or to challenge the imprisonment of thousands of civilians. The most credible voices among the protest movement have already condemned US inaction, and would not consent to a dialogue with US officials – indeed, they argue that engaging with Washington would erode their credibility, and they are probably right. Washington can of course attempt to pressure or persuade the TPLF to undertake credible and meaningful reforms – but Washington’s chequered diplomatic history with Addis suggests that such efforts are unlikely to bear fruit. It is also unclear what reforms would appease the public: while there have been calls for Ethiopian security forces to leave the Oromo and Amhara and other regions (including the Somali or “Ogaden” zone), absolutely no one is demanding fresh elections (which have historically been heavily rigged) or other staple democratic measures to restore the peace. Ethiopia’s only hope for peace is a series of rapid and sincere concessions by the TPLF elite, which must certainly involve a meaningful redistribution of political and economic power. The Ethiopian public has tasted its power, and one way or another, the status quo will not survive. 2017 in response to waves of protest that originated in Oromia and swept the country beginning in 2014. What is driving the recent spate of violence in Oromia, and is it indicative of potential larger unrest? intermittent conflict for at least the past 25 years. Their two regional states, Oromia and Somali, share a border that is poorly demarcated. Much of the conflict between the Oromo and Somali groups has historically centered on access to resources and land. dominated by the Tigray ethnic group. Ethiopia is ethnically heterogeneous, with more than 80 recognized ethnic groups. The Tigray are one of Ethiopia’s smaller ethnic groups, representing about 6 percent of the total population. The members of the country’s largest ethnic group, the Oromo, which comprises an estimated 35 percent to 40 percent of the population, feel particularly underrepresented by the ruling Ethiopian People’s Revolutionary Democratic Front. Although tensions between the Oromo and ethnic Somalis are long-standing, the most recent conflict needs to be contextualized against the backdrop of previous unrest in Oromia that began in 2014. After the announcement of a development scheme in 2014 (detailed in the August 25, 2016, issue of Africa Watch) that would have enabled the government to incorporate parts of Oromia into the capital city, Addis Ababa, protests broke out across Oromia. During the initial phases of the project, Oromo leaders accused the government of taking over land and forcibly evicting families. Protests continued and the grievances expanded to include concerns over human rights abuses, political representation, and limitations placed on freedom of expression. The government ultimately abandoned its expansion plan in January 2016 in response to the unrest, but anti-government protests continued to spread to the Amhara community, Ethiopia’s second largest ethnic group, and the capital. The government imposed a state of emergency in October 2016.
were accused of killing four people in Oromia who were protesting the delivery of a shipment of arms to the Liyu. While some are attempting to define the recent clashes as primarily ethnic in nature, activists in Oromia claim that the involvement of the Liyu indicates that it is actually state-sponsored violence. as representing the official position of the Institute for Defense Analyses or its sponsors. Links to web sites are for informational purposes only and not an endorsement. 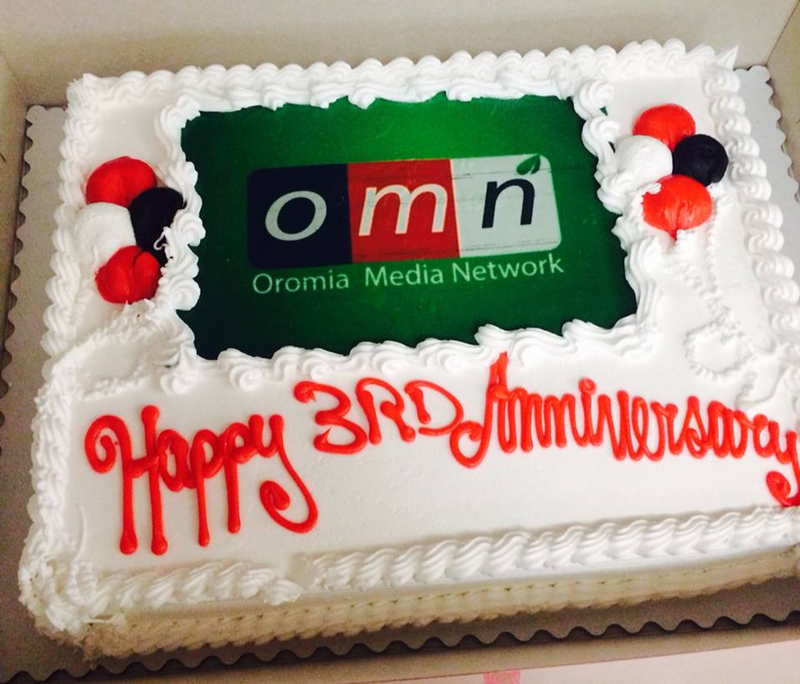 October 1 to November 30, around 118 violent events took place in Oromia, almost 50 percent of which were protests. 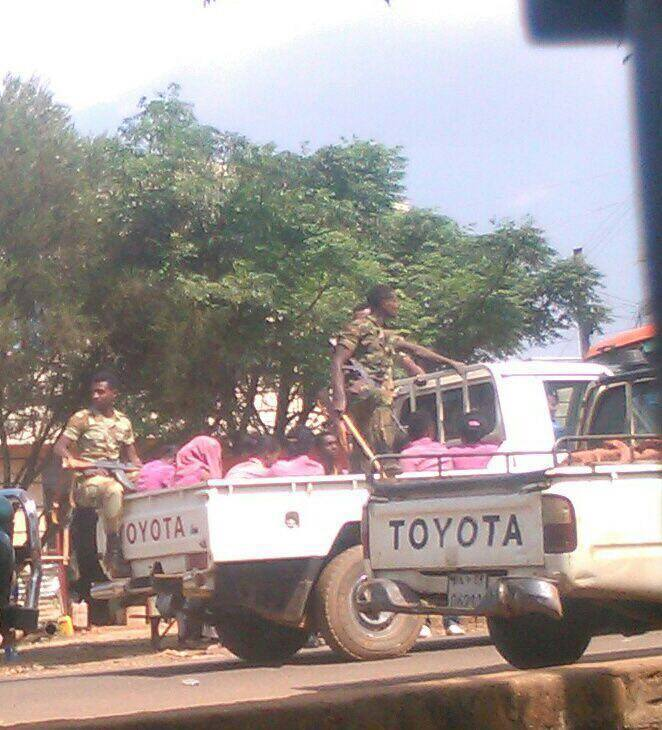 The Ethiopian government responded to the 2014 Oromia security situation with a heavy hand. Ethiopian police were responsible for hundreds of deaths during protests from 2014 to 2016. In 2016, at the height of the conflict, more than 1,000 fatalities were reported in Oromia. The government arrested protesters en masse and attempted to control the flow of information into and out of Oromia. During the state of emergency, at least 29,000 persons were arrested, many of whom are still awaiting trial. The government arrested scores of journalists and frequently jammed nonstate news sources to prevent them from broadcasting. According to Human Rights Watch, the government also routinely cut cell phone service in areas where the military was deployed, presumably to prevent information about the military’s actions from being publicized widely. improved security situation, but recent events suggest a resurgence of violence and protest in Oromia. The uptick in violence may signal the beginning of renewed unrest in Ethiopia. This should serve as a reminder that the core issues underlying the previous unrest, namely state repression and political representation, were never adequately addressed. *Dr. Stephanie M. Burchard is a Research Staff Member in the Africa Program at the Institute for Defense Analyses. Click here to read more: Sheik Mohamed Al Amoudi’s Arrest and its Implications to Ethiopia. His influence is remarkable. His people are loyal and will not do anything to antagonize him or the regime. If one has close relation to his circles they are guaranteed success. There are many Ethiopians that oppose the regime but will not dare utter a word for fear of alienation.Therefore, the news of his arrest is a huge deal. 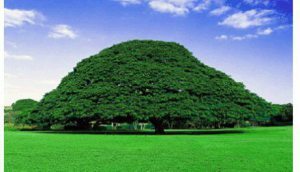 It is significant event in the history of the region and Ethiopia. This is an event that will quicken the demise of the TPLF as he was a significant player and ardent supporter. Al Amoudi has openly bragged that he is Weyane. But, what is the impact of his arrest and its repercussions? It is the biggest disruption that the TPLF has ever seen. 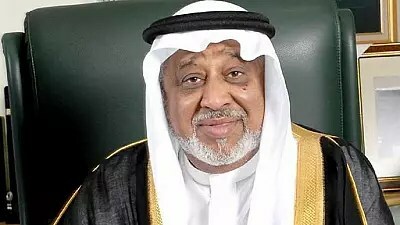 The former Saudi billionaire, Mohammed Hussein al-Amoudi, is under strict security guard in a room on the top floor of one of the most luxurious hotels in the Saudi capital after the Saudi authorities issued a decision to arrest him for his involvement in corruption cases inside and outside Saudi Arabia. And a group of former Saudi businessmen and officials. 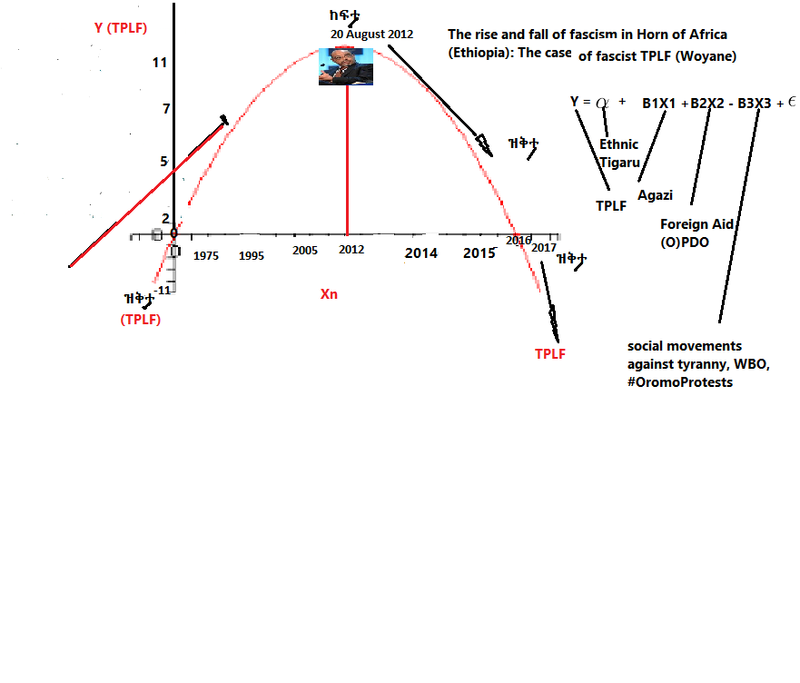 Posted by OromianEconomist in Ethiopia's Colonizing Structure and the Development Problems of People of Oromia, Afar, Ogaden, Sidama, Southern Ethiopia and the Omo Valley, Ethnic Cleansing, Genocide, Horn of Africa Affairs, Human Rights, Human Rights Watch on Human Rights Violations Against Oromo People by TPLF Ethiopia, Oromian Affairs, Uncategorized. Kabaja ayyaana OMN waggaa 3ffaa, Afrikaa Kibbaa haala gaaariin geggeeffame. WHY IS ETHIOPIA’S SITUATION THE MOST UNDER-REPORTED CONFLICT IN THE WORLD? The situation in Ethiopia has been declared by some bloggers (see for instance Prof Chris Blattman) as the most under-reported conflict in the world right now. This is rather true. Though some media outlets reported on the recent political turmoil in Ethiopia, such as some German press in the context of the recent visit of Chancellor Merkel to Addis Ababa, generally very little has been reported on the unrest. Already in November 2015, the first protests against the Ethiopian Government unfolded in the Oromia region when the government wanted to expand the margins of the city of Addis. As this implied the resettlement of the local Oromo population -the largest ethnic group in the country- this was seen as a further expression of political and economic marginalisation. The situation calmed down a little over spring 2016 and erupted again in the summer when the Amhara people in the North started anti-government protests. The military was deployed and further unrest unfolded again in the Oromia region – and for the first time an alliance between the Oromo and the Amhara was built. Since November 2015, at least 500 people have been killed by security forces and tens of thousands have been arrested, according to Human Rights Watch. What started as a protest against the expansion of Addis turned into an expression of general dissatisfaction with the government’s authoritarianism and lack of political and economic participation for more than two and a half decades. 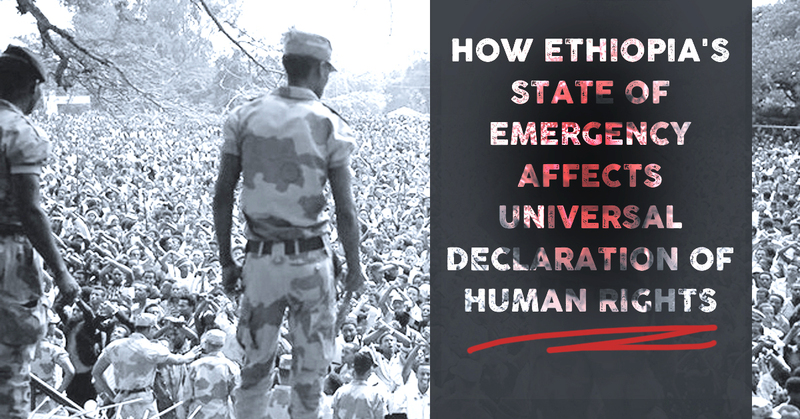 On 9th October, the Ethiopian Government declared the state of emergency for the first time in 25 years. This was after more than fifty people died at a religious festival of the Oromo people close to Addis. A week after, further details on the state of emergency were made public. Now, the government can arrest and detain for six months (the duration of the emergency state) any person breaching emergency laws and conduct searches without a court warrant. There are now severe restrictions to the freedom of assembly and protest, and any communication with foreign governments or foreign NGOs “that is likely to harm sovereignty, security, and constitutional order” (translation provided by Horn Affairs) as well as any communication with “anti-peace groups” is prohibited. Moreover, the Government can monitor and restrict “messages transmitted” through different sorts of media outlets. This is reflected in cutting off the internet via the mobile network for two months – a major internet access route in Ethiopia – as well as the similar disconnections for social media. Shortly after declaring the state of emergency (on 15th October), the Ethiopian Government also announced reforms, including changes to the electoral system from ‘first past the post’ to a proportional system. A change of cabinet has already taken place and tackling corruption has been declared a priority. 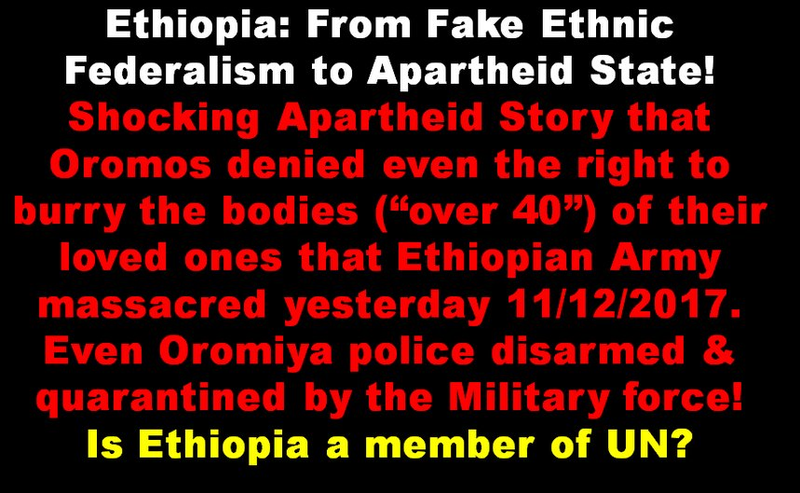 So why are these developments in Ethiopia the most under-reported conflict of the world, to stay with the initial phrase? To reiterate: Ethiopia is experiencing political unrest over an extended period of time and the state of emergency has been declared for the first time in 25 years. This should be reason enough to report on the situation, but there is more: Ethiopia has the second largest population in Africa with nearly 100million inhabitants, only topped by Nigeria. Secondly, Ethiopia’s GDP grew rapidly over the last few years at a rate of 9.6% in 2015. Thirdly, Ethiopia is considered as a bulwark against Jihadist Islamist movements in the Horn of Africa. Despite recently retreating some forces, Ethiopia has sent it troops to fight al-Shabab – the official al-Qaeda branch in Somalia. These economic and security features of Ethiopia are at the same time a factor, if not the main reason why the West reports so little on the current political situation. Though the low coverage of Ethiopia is also related to the fact that other issues happen in the world and dominate Western media, the situation in Syria and Trump’s election to name a few. It is likely that Ethiopia’s importance to the West heavily contributed to the lack of coverage. Looking at the ever increasing Official Development Assistance (ODA) levels to Ethiopia by Western states, most notably the US and the UK, it seems as if the West buys into two arguments of the Ethiopian Government: political participation and democratic rights are less important than Ethiopia’s economic development and regional stability in the fight against terrorism. This is also reflected in the US and UK’s national focus on the ‘war on terror’ and their own balancing of national security in relation to human rights. A similar dynamic exists with regard to the World Banks and other donor priorities of poverty reduction over issues of political governance when they decide on Ethiopia’s ODA levels. Though it has to be mentioned that the US, amongst others, expressed that they were ‘deeply concerned’ over the situation in Ethiopia, actions speak louder than words. It needs to be seen whether or not Western ODA levels continue to grow. And in the same manner, we should report on whether or not the Ethiopian Government will really deliver on its reform promises.